on far planets visit here. 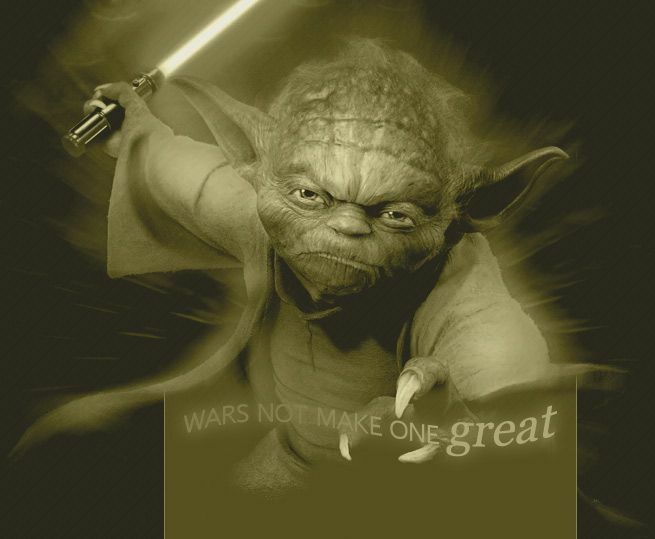 This is Wars not make one great, the fanlisting for Star Wars: Yoda. Yoda, although not "real" the most human and wise person in the galaxy and my personal favorite Star Wars Character. If you love this little green guy as I do, "this fanlisting JOIN you must". This fanlisting has a total count of 225 members + 0 pending. It was last updated April 15, 2019. The fanlisting was opened March 9, 2006 and is approved by thefanlistings.org. This fanlisting was made by Martina and is part of Inspirationally. So this is a place where all the people who really like Star Wars: Yoda can submit their information to build the biggest listing. I am not affiliated with Star Wars: Yoda or anything related in any way nor have I contact to them. This is a non profit site made by a fan for fans. All pictures, names, trademarks, etc. are copyright their original users and used under fair use - the layout copyright by me.